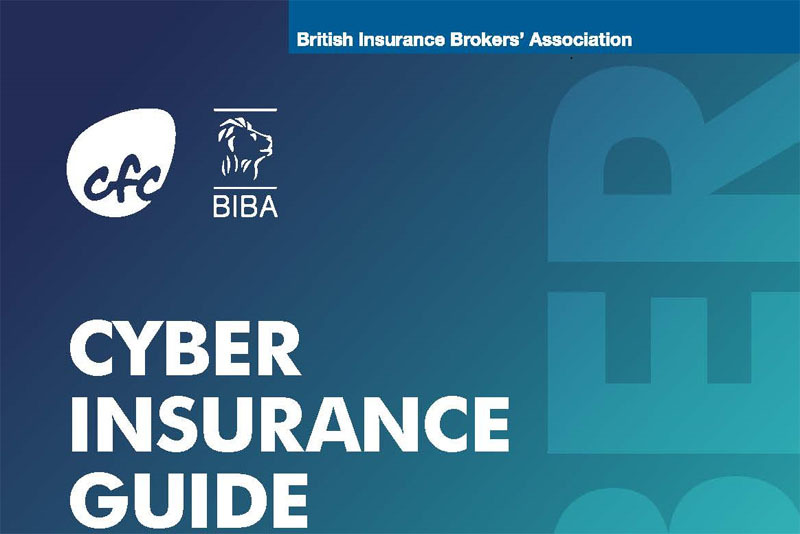 The British Insurance Brokers’ Association (BIBA) in collaboration with CFC, the specialist insurance provider behind BIBA’s cyber insurance scheme, has launched a new guide to help brokers understand cyber risks and the insurance solutions available to mitigate these risks. Taking on board that cyber insurance is for many one of the most misunderstood covers, the guide aims to cut through the jargon and bring simplicity to what has long been considered a complex line of business. Within it, brokers can learn about the evolution of cyber risk, read examples of cyber claims and appreciate how cyber policies work which will be invaluable in helping to identify client’s risks. In its 2018 Manifesto, Engaging BIBA made a commitment to work with industry partners to make it easier for brokers and their customers to understand key differences in the cover available in cyber insurance policies and to share good practice to help cyber risks be managed. If you no longer want to receive press releases from BIBA please email the Comms team. BIBA membership includes just under 2,000 regulated firms, employing more than 100,000 staff. General insurance brokers contribute 1% of GDP to the UK economy; they arrange 72% of all general insurance with a premium totaling £62.7bn and 93% of all commercial insurance business. Insurance brokers put their customers’ interests first, providing advice, access to suitable insurance protection and risk management. BIBA helps more than 550,000 people a year to access insurance protection through its Find a Broker service, both online and via the telephone. CFC is a specialist insurance provider with a track record of pioneering emerging risks and disrupting inefficient insurance markets. Our plain language policies are purpose-built for today’s risks, and we build market-leading technology to streamline the insurance buying process and deliver relevant, up-to-date products easily and efficiently. CFC is backed by Lloyd’s and offers a broad range of commercial insurance products to more than 60,000 businesses in over 75 countries. For more information please visit www.cfcunderwriting.com.